Report 'BUILDING OF HOTEL „Bizon Grill” POLAND'? This teaser is information for the investor interested in the construction of the hotel in Poland. The main sought-after source of financing is attracting investors in the amount of 3,5 mln EURO an object. It is the prospect of the construction of 40 hotels in Poland. The author of this project to its implementation looking for an investor to build the hotel in Wrocław with the prospect of the company's development and construction of the brand "Bizon Grill". Specialists developing a technology kitchen, ventilation, ecological, interior designers, furniture, decoration of the hotel, as well as potential managers showed great interest in this idea, his extraordinary and innovation. Corporation from France, who prepared areas in Poland under construction, is expected realization, has already prepared areas in Wroclaw, Poznań, Lublin, Szczecin, Gdynia, Warsaw and many other cities. This project is an author and a unique solution in Poland. Firstly – there is no such characteristic building in Poland. Secondly – nobody lead three complementary activities in one place. Thirdly – there is no hotels in shopping malls in Poland. Fourthly - we designed an innovative solution hostel. Customers of restaurant “Bizon Grill” are thousands of shoppers at the mall. We are planning several thematic events (family barbecues, meetings with country music) organized by the hotel. There are also some advantages for the start of the investment. The company has prepared all the fields of activity of land, construction of the facility, the people who lead these objects. Hostel wagon has two bunk beds, a bathroom and as an attraction will be used as a room in a hostel. “Bizon Grill” firstly has provided the location in thirty places in Poland where millions of customers come. These millions will come to us to look closely at our buildings, arrangement and products-and our task is to give the product for which they want to pay. And we have it and use it, because we know how to do it. 1. 32 hotel rooms with bathrooms 60 beds. 9. the construction of such facilities in Poland and abroad. 10. restaurant waiter to support self-service fast food, and vice versa. 11. premises for every budget client. Cheap fast food and a good restaurant ****. 12. Independent family-friendly barbecues in the "OSADA COUNTRY" with good advice from our staff. 13. The lack of liquidity risks in sales due to the proximity of the shopping center. 14. External catering to businesses and homes, carried out with electric vehicles. constructions and facilities and elevation. Strengths and weaknesses of the ratio of 15 to 2 are internal opportunities and threats that will have the greatest impact on the company in the coming years. Poznan in the coming years will continue to grow and attract increasing numbers of tourists and traders at the fair will constantly be increased offer of new hotels. Vice President: Ms. Catherine 35 years - Manager in Poland and the UK, extensive experience in working with staff. 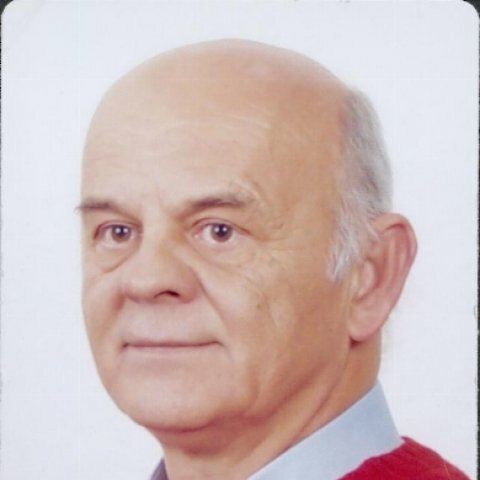 The Supervisory Board: Mr. Leszek 64 years, the author of this facility and the representatives of the investor. The plan includes, funding in four installments and a payback period of 7 years with a one year grace period. In assumed business it is not possible - not develop income to cover financial obligations and a decent profit. During the first year of operation it is possible to invest in two hotels in Wrocław, Poznań, and in the second year, Szczecin and Gdansk. When planning the development of a year, you can build two to three objects. The company, due to its nature of business should generate about 1.0 mln € annual profit from one object.